Videogames are power fantasies, the common wisdom says. If that’s true, stealth games are a strange kind of fantasy. In this genre, you’re no invincible space marine, sponging up enemy bullets and laying waste to all around you. Instead you must cling to the shadows, stalking your prey and waiting for the right moment to strike. Detection often translates to failure. But the thrill of the hunt, combined with the fear of being caught, can make for wonderfully tense experiences. On February 25, the stealth genre gets its next major entry with the release of Eidos Montreal’s Thief reboot. (Read our review here.) To mark the occasion, here are our picks for the 10 best stealth games. Never mind Grand Theft Auto: Rockstar’s most shockingly violent game is this disturbing saga of a death row prisoner forced to participate in a sadistic game show/snuff film. As convict James Earl Cash, you’ll stalk gang members, murdering them in brutal, unflinching cutscenes. The game presents an interesting tension: Cash is forced to hunt and kill to win his freedom (and his life), but the violence is so extreme, the savagery so intense, that you’re forced to question your own satisfaction at accomplishing the goals the game foists upon you. Having to plot your kills stealthily, and dragging out the anticipation, only reinforces the effect—and compels you, the player, to reflect on your role as participant. 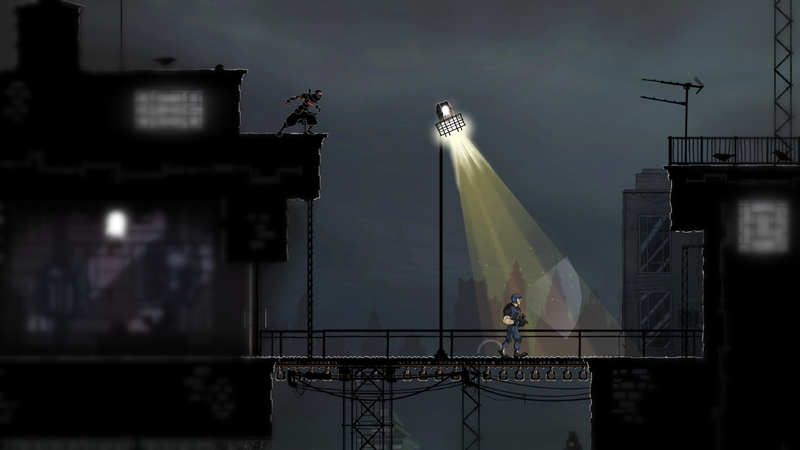 The most elegant aspect of Klei’s standout title Mark of the Ninja is the way it translates the environmental feedback mechanisms of 3D stealth games to the 2D plane. Of particular note is the “fog of war” system, which simply yet effectively communicates what your ninja can perceive around him. (For a great discussion of this and other fog of war systems featuring Ninja designer Nels Anderson, check out this episode of the Three Moves Ahead podcast.) My favorite touch is how Ninja visualizes sound, alerting you to approaching enemies with visual as well as auditory cues. In our review, Jenn Frank praised the precision of the game’s controls, the beauty of its art, and the way it rewards the player not only for gruesome kills, but also for completing levels non-lethally. There would have been no Mark of the Ninja without Tenchu, the first entry in a long-running series about 16-century Japanese ninja. 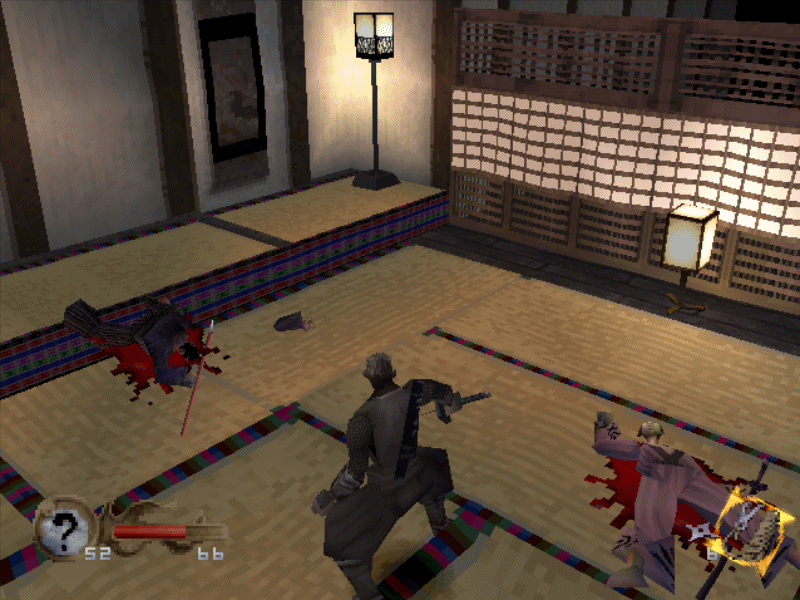 Although its graphics may look primitive by today’s standards—setting the game at night was a smart way to compensate for draw distance limitations!—the original Tenchu was a trailblazer in the 3D stealth genre, with a soundtrack, moveset and design ethic that perfectly complemented the setting of feudal Japan. The grappling hook that would later play such a prominent role in the Batman: Arkham games lends a satisfying sense of verticality to Tenchu’s levels. The video below illustrates how well the game conveys the feeling of being a stealth assassin. Since its first appearance on the original Playstation in 1998, Hideo Kojima’s Metal Gear Solid series has remained a benchmark for cinematic stealth action games. For an expert opinion on MGS3, the game many fans consider the best of the franchise, I turned to my friend Matthew Weise, a game designer who has written extensively about Metal Gear on his blog. 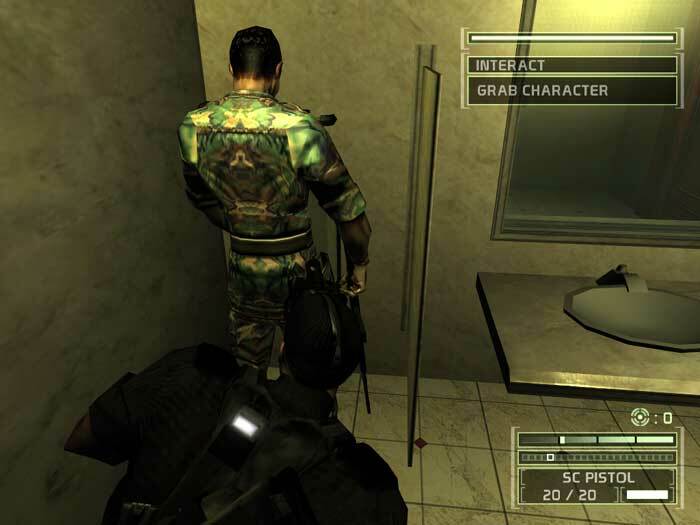 “Although many Metal Gear games are historically innovative,” he said, “most of those innovations are about general stealth mechanics—i.e., just making the core idea of sneaking around, hiding, creating distractions, getting caught and escaping more interesting and complicated. 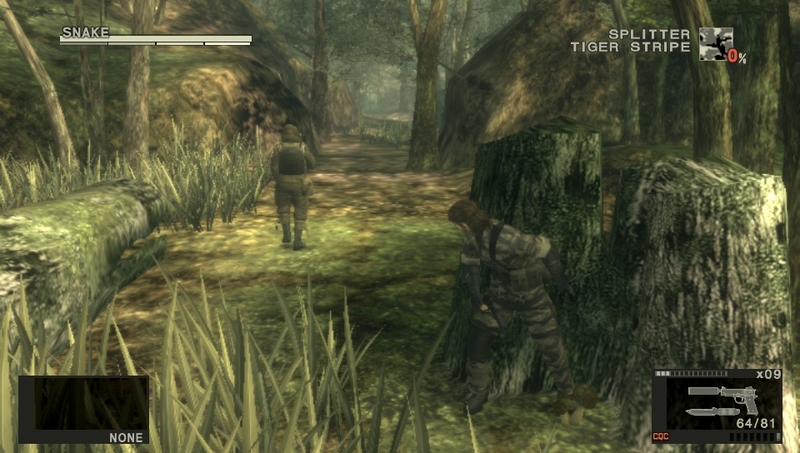 MGS3’s camouflage mechanics, however, are original in the genre and uniquely tied to its wilderness setting and survivalist theme.” MGS3 was an important entry in the genre, he said, because it proved “you can have different types of stealth, and build a whole game around them—rather than just make ‘better’ or ‘deeper’ stealth the design goal of each game.” Featuring an intricate, symbolic story about the hero’s growing disillusionment as a tool of the military-industrial complex, MGS3 achieves a narrative and mechanical depth most stealth games lack. It’s still hard to believe how perfectly Rocksteady, a relatively unknown British developer in 2009, nailed what it feels like to be the Caped Crusader. 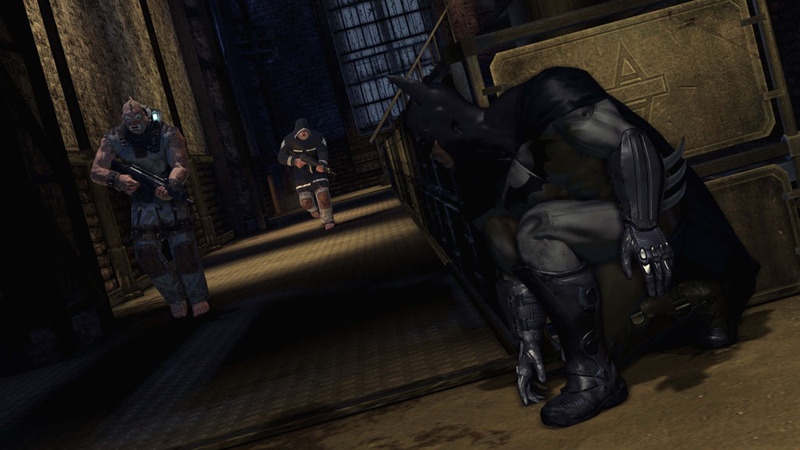 The original Arkham adventure not only presented the best setting and story of the three games to date, but also established the series’ formula—alternately stalking henchmen from the shadows and beating up mobs of them, both aided by the requisite array of gadgets. 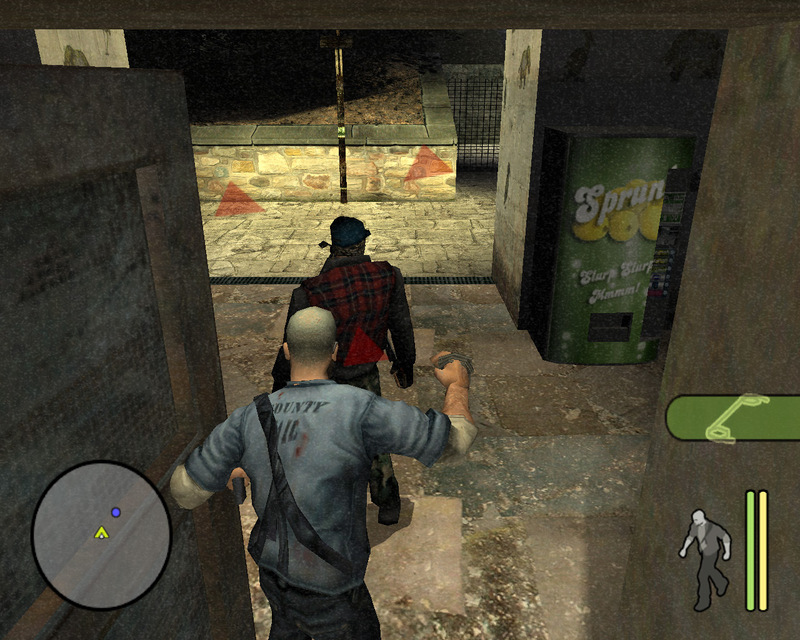 A tap of the shoulder button triggers “Detective Mode,” outlining the environment in blue and highlighting objects and people Batman can interact with. Detective Mode’s x-ray vision allows you track enemy movements through walls and plot your strategies for taking the thugs down—a process that’s even more satisfying in the Invisible Predator challenges, which force you to vary your tactics. But just as in Mark of the Ninja, the most satisfying feeling comes from watching your enemies’ terror grow as their numbers dwindle. 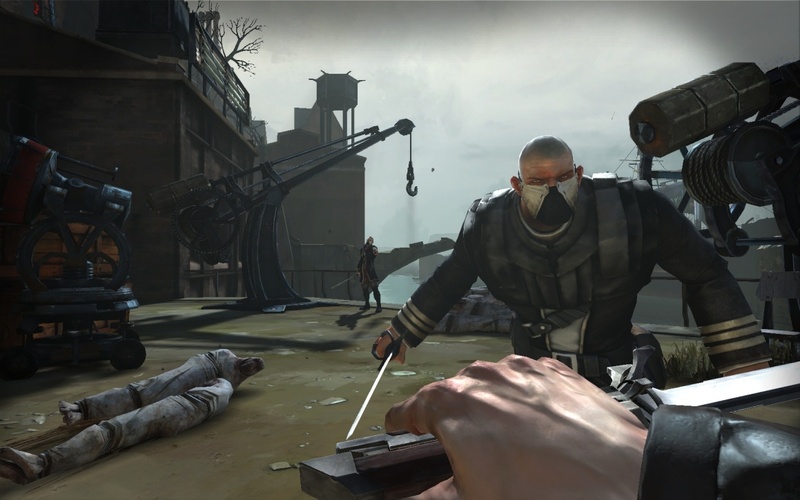 “The genius of Dishonored,” I wrote in my review, “is how subtly its fiction and mechanics work together to draw the player into its world.” It’s not surprising, given the designers’ pedigree with classics like Thief and Deus Ex, that Dishonored features an engaging world, brilliantly open level design, and a wide array of special powers and weapons. What is surprising is how memorable stalking through the plague-ridden city of Dunwall as bodyguard-turned-assassin Corvo Attano turns out to be. Arkane has a gift for creating systems that allow for clever strategies while maintaining the tension necessary for a satisfying stealth experience. Dishonored is equally satisfying played lethally and non-lethally, but its “Chaos” rating system—which adjusts the number of enemies in the next level based on how many you killed in the previous one—is a particularly elegant refinement among many the game offers. Riddick was Batman before Batman was Batman. 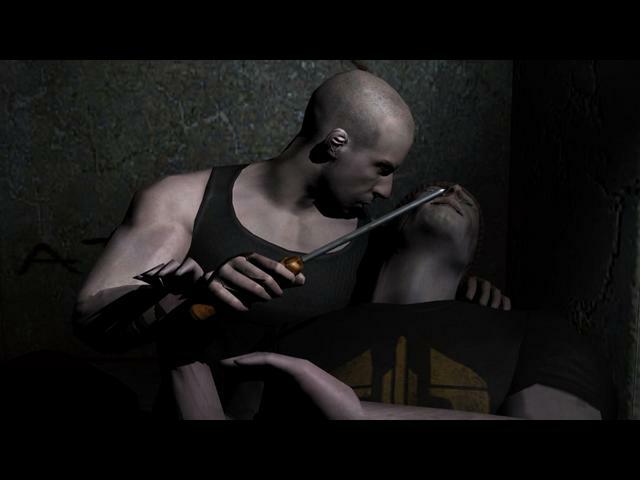 That’s the best way to explain why Butcher Bay remains a standout: Starbreeze’s depiction of Vin Diesel’s darkness-loving sociopath is remarkably successful at allowing the player to inhabit the character of Riddick. This is accomplished not only through Diesel’s gruff narration of this prequel to the film Pitch Black, but through an ingenious blend of first- and third-person perspective in this stealth/shooter/brawler/RPG hybrid. Like all good stealth heroes, the buff Riddick may be, um, diesel, but he’s also incredibly vulnerable—bullets and knives kill with ease. Butcher Bay refines some stealth conventions, like the use of a blue sheen to indicate when you’re hidden, and turns others on their head. In one memorable sequence, Riddick, who has just spent hours stalking and killing his way through the shadows of Butcher Bay prison, is forced to blast away at mutants who bleed fluorescent goo. This glowing gunk blinds Riddick’s “eye-shine,” the ability that lets him see in the dark, like a flashlight pointed at night vision goggles. Suddenly his strength is a weakness. Butcher Bay’s willingness to subvert the player’s expectations at every turn make it a classic worth experiencing. 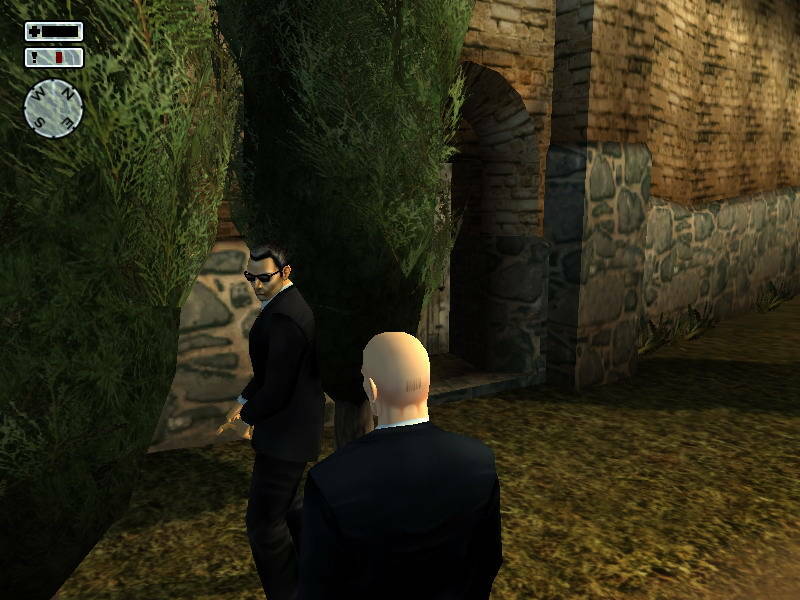 Since the release of its first entry in 2000, the Hitman series has been synonymous with stealth. Hitman 2 represented a leap forward in level design, presenting Agent 47 with multiple paths to accomplish each mission. Of particular note is the series’ signature use of disguises; unlike other games, Hitman 2 requires the player to walk slowly while wearing a disguise to avoid drawing attention, just as a real assassin would. Although 2006’s Hitman: Blood Money is similarly lauded for its open-ended design, it’s also much more forgiving of brute-force gunplay when a plan gets botched, giving it a more shooter-y feel. Hitman 2 demands a high level of precision and planning but also allows for what we might today call “emergent gameplay”—a rare and remarkable combination. Eidos Montreal’s reboot has a lot to live up to. One of the most beloved and lauded titles in PC history, Looking Glass Studios’ Thief established the template for stealth games to come. Its use of a “light gem” to indicate not whether the protagonist Garrett is hidden in shadow, but the degree to which he is hidden, is particularly revelatory. As are the other creative tools in the player’s arsenal, like water arrows to extinguish torches and moss arrows to dampen footsteps. Most compelling, though, is Thief’s refusal to devolve into the murder-spree of so many other first-person games. The game’s draw is in avoiding enemies, moving silently and invisibly around them, keeping the player always on the edge of panic when discovery seems imminent. Although many players prefer Thief II: The Metal Age for its refined level design and removal of the controversial supernatural enemies, the original Thief set the standard for what a stealth game can and should be—and revolutionized the first-person shooter in the process. J.P. Grant is a Boston-based freelance writer whose work has appeared in Gamers With Jobs and other outlets. He blogs about games at Infinite Lag and is also on Twitter.